In the 15th century, the Belgian city Bruges, was one of the most distinguished art centers in the world. 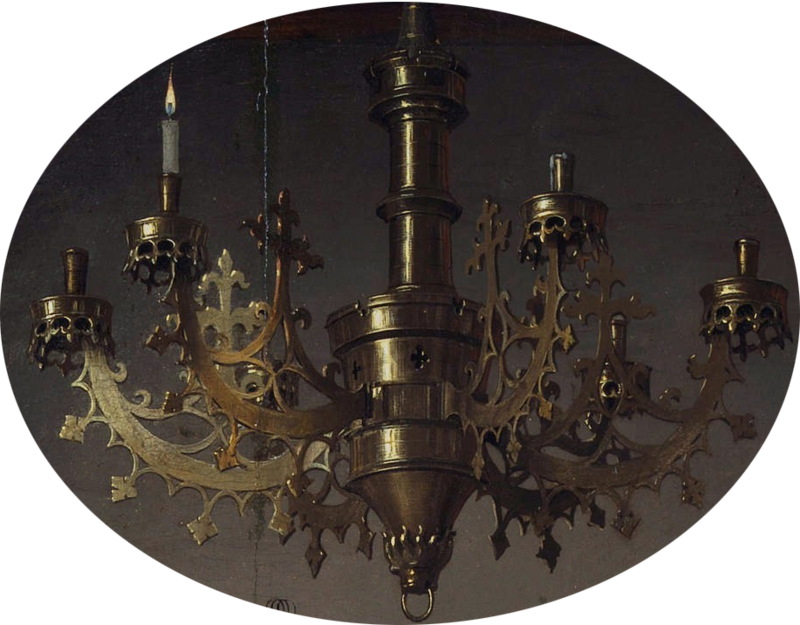 People and artists from all over Europe travelled to Flanders to see the works of the Flemish Primitives (as the representers of the Northern Renaissance were called). Giovanni Anrolfini, a wealthy Italian merchant from Tuscany asked Jan Van Eyck to make a portrait of him and his bride. Today, more than 600 year later, people from all over the world go to the National Gallery in London to see this intimate double portrait. The Arnolfini Marriage is one of the greatest masterpieces in art history. 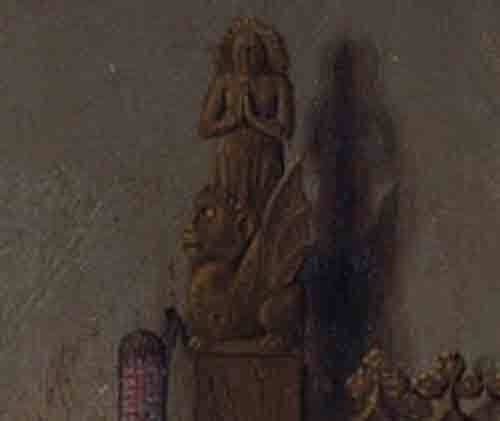 Jan Van Eyck is called the inventor of oil painting. Although it is not likely that he inventented “oil paint”, he certainly fine tuned the process of mixing oil, pigment and varnish. 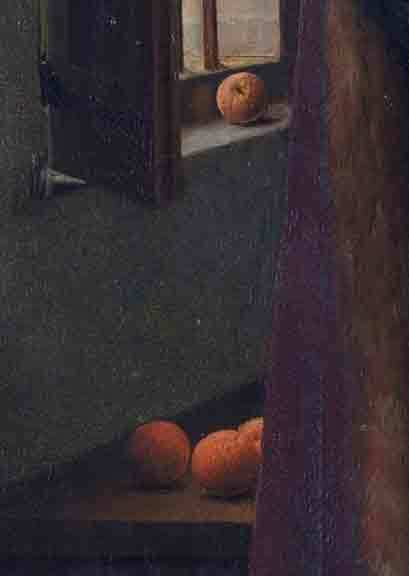 On top of that he mastered the technique of creating hyper realistic sceneries (avant la lettre). One burning candle. Mind the precision of the light strokes. vibrant and helps to create depth. 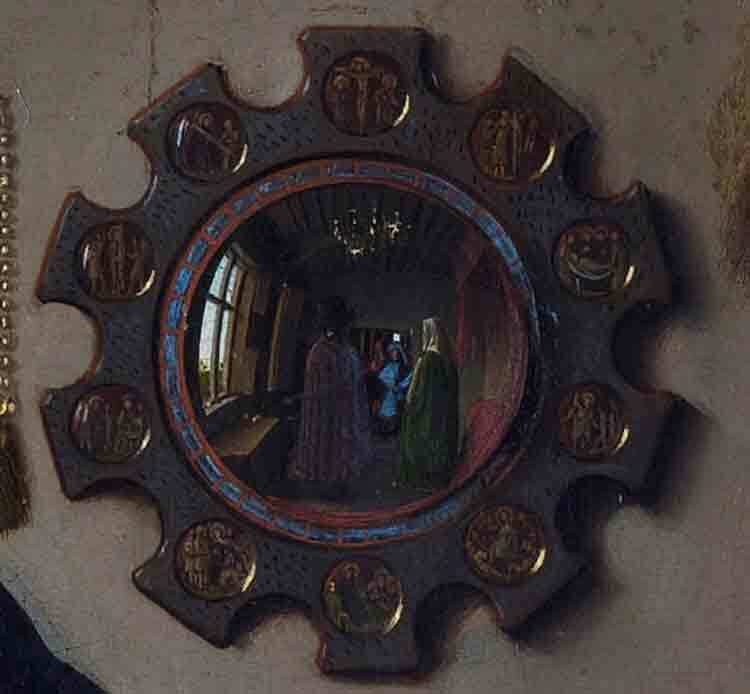 When i saw the Arnolfini Marriage in the National Gallery, i got goose bumps andmy knees started to shake. Okay, i already saw the Ghent Altarpiece (aka The Lamb of God) in the Saint Bavo Cathedral in Ghent, which is really complex, large and very detailed. But this small painting (82.2 cm × 60 cm) is really overwhelming, just by its beauty. 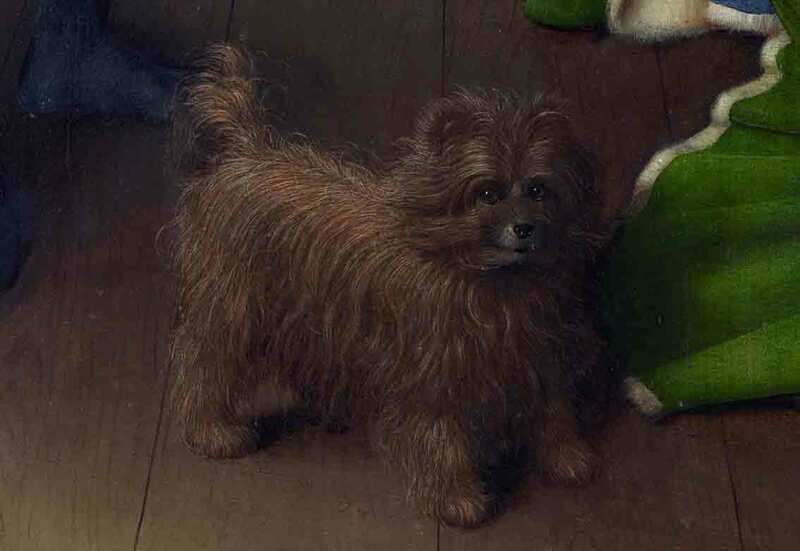 Detail of the Dog, an ancestor of a Brussels griffon. 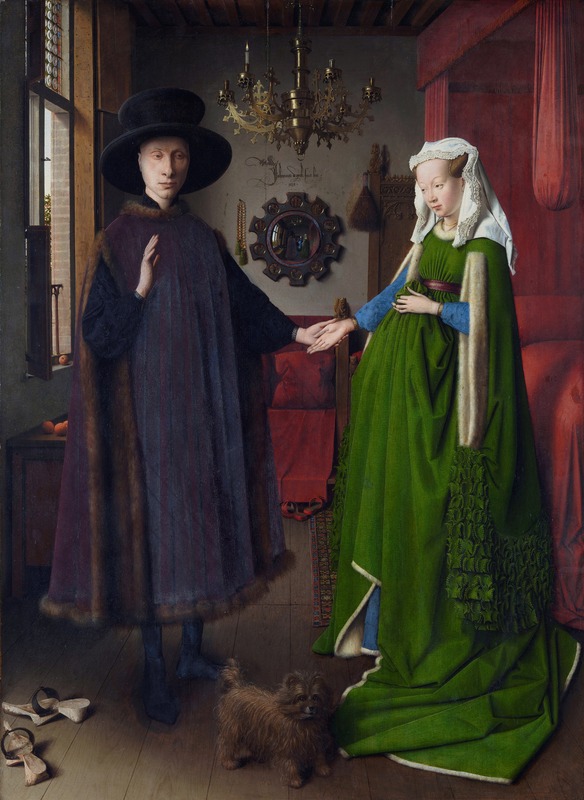 This entry was posted in favourites and tagged Arnolfini marriage, art, Bruges, Ghent, Jan Van Eyck, London, masterpiece, National Gallery, renaissance on November 3, 2013 by Pete Omer.